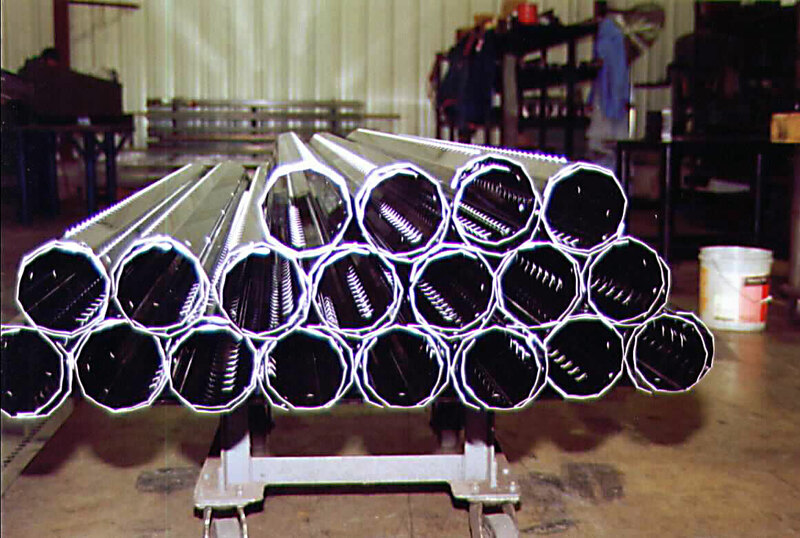 Forming of tubes for soup cooker chain flights. 14 ga thick 316 stainless steel. Sheared and CNC punched before forming.